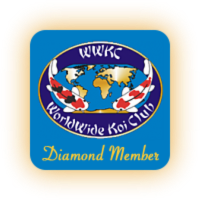 The second quarterly meeting of the WWKC will commence on April, 22nd at 7:00 pm CST until April 29th at 7:00 pm CST. All members in good standing are encouraged to attend. We look forward to your participation, input and feedback. The greatest pleasure of a dog is that you may make a fool of yourself with him, and not only will he not scold you, but he will make a fool of himself, too. -- Samuel Butler. My little dog - a heartbeat at my feet. -- Edith Wharton.